Sharryn Ross and Jon Truslow took a food order from the back of the family vehicle. The couple has been volunteering at Community Servings for more than two decades, delivering meals to people in need in the Boston area. 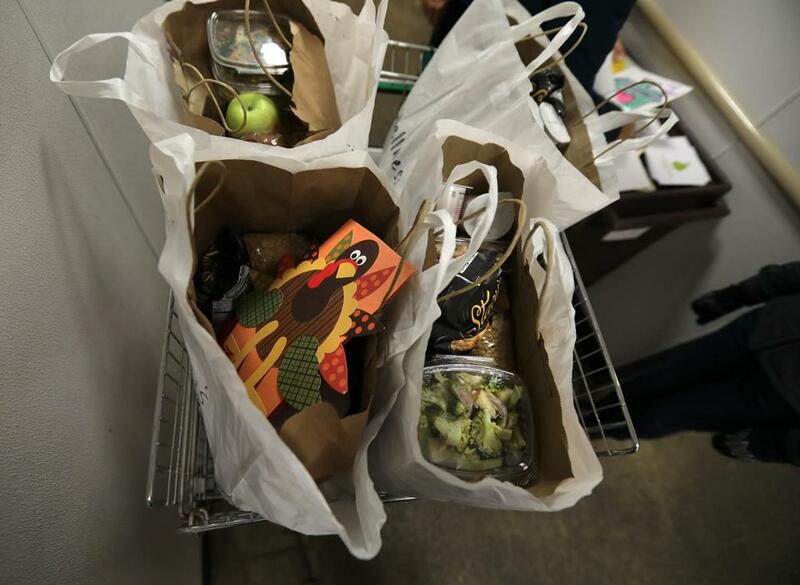 On a holiday built on food, Thanksgiving meals delivered Wednesday by Community Servings were better than a dose of medicine. Serving nutritious meals to people like Camp is at the heart of Community Servings’ mission. She said she’s a dialysis patient who uses oxygen and has a broken hip. Cathy Camp's meals were delivered by Truslow and Ross. The meals she’s been receiving from Community Servings for 10 to 12 years are “kidney friendly,” Camp said. The organization specializes in providing food to seriously ill patients and their families from a menu of 15 different medical diets. The nonprofit serves about 1,300 people in 21 communities every day, using food from area farms and preparing meals from scratch, said David Waters, the chief executive. On Wednesday, Community Servings enlisted extra volunteers to make sure all their clients got Thanksgiving meals, plus their regular food allotment. Kevin Conner, the executive chef, said he began planning for Thanksgiving at the end of September. The menus vary depending on a patient’s medical needs, he said. There’s turkey breast for diabetics and turkey pot pie or turkey tetrazzini for people who need to eat softer foods, he said. Salads are prepared with kale, roasted butternut squash, quinoa, and dried cranberries. The husband-wife team of Jon Truslow and Sharryn Ross has been volunteering at Community Servings for 30 years. 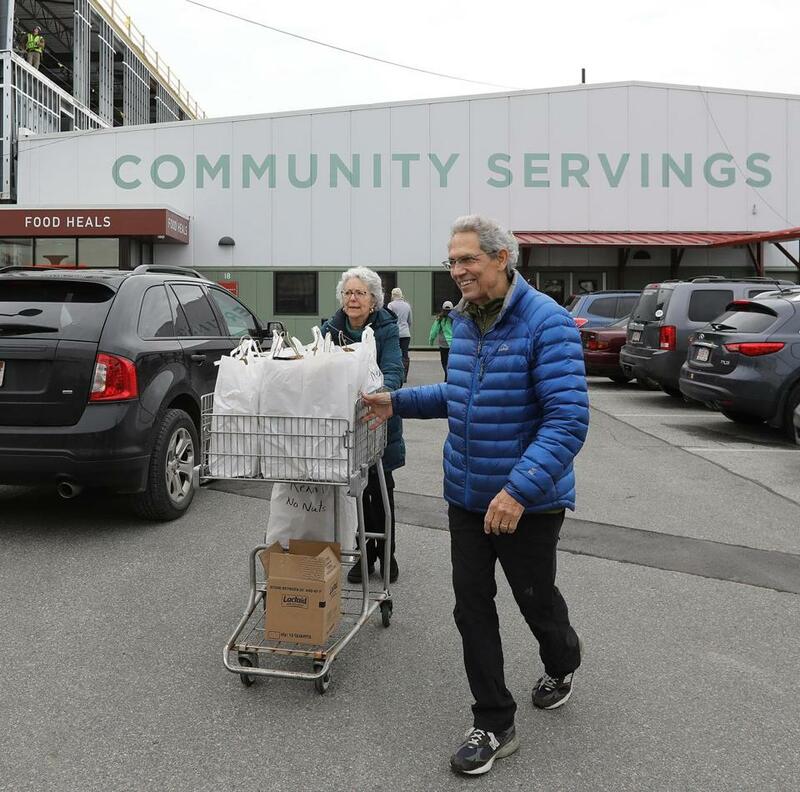 The couple leaves the Jamaica Plain facility (which is expanding with the construction at left rear) to deliver meals to people in the Boston area, who are ill or disabled. Before volunteers headed out to make deliveries, Waters gave an overview of the nonprofit’s philosophy of using food as medicine and providing meals that tempt even sick people to eat. Among the volunteers were Sharryn Ross and Jon Truslow, retirees from Jamaica Plain who got involved with Community Servings more than two decades ago as a way to teach their children about giving back. They participated in a program that provided holiday baskets filled with items requested on wish lists by needy families. The husband-wife team of Jon Truslow and Sharryn Ross prepares to leave the facility with food orders. One year, a girl asked for crayons. Ross said the girl’s request was eye-opening for her daughter, who was then 10 years old. “She was blown away by the fact that somebody didn’t even have crayons,” Ross said. For more than 20 years, Ross and Truslow have spent the day before Thanksgiving delivering meals for the nonprofit. 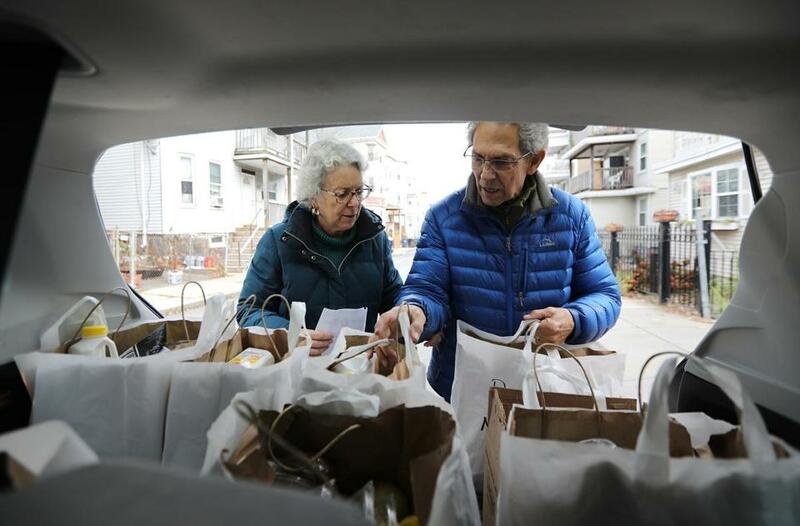 In Dorchester, Tim McCants, 58, watched the couple from his third-floor porch as they unloaded white bags of meals from the back of a maroon Subaru Forester. When they reached his apartment, McCants patted his belly to show his appreciation for the food. “There are people out there thinking about other people,” he said. When Ross and Truslow celebrated their 25th wedding anniversary four years ago, they held a small dinner party in a conference room at Community Servings catered by Conner, Ross said. 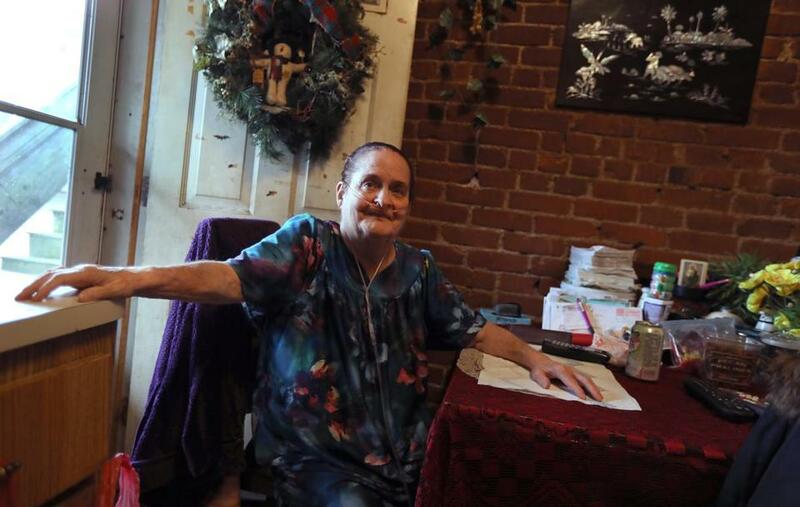 The organization limits its administrative costs and effectively uses volunteers to help clients, she said.